All-Type Welding and Fabrication, Inc. guarantees speed and accuracy with all of our metal fabrication projects. That’s why we use the latest, most advanced laser cutting equipment the industry has to offer. Our high-precision Trumpf lasers deliver the most precise metal laser cutting in Cleveland, Ohio. Our laser cutting machines work quickly and within tolerances measurable in micrometers—as exact as virtually any sheet metal project requires. Our metal fabrication machines are meticulously maintained, cleaned and updated with the latest software and hardware by our team of experts. 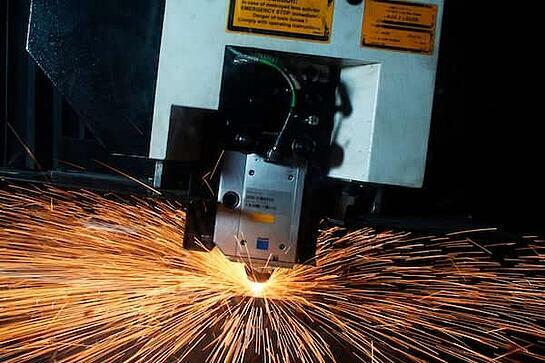 Our lasers can even replace machining in certain jobs. With advanced laser cutting tools and software, ATWF can run jobs automatically to speed up turnaround times while meeting any demanding metal laser cutting needs you may have. Our laser cutting services can handle anything from a complex one-off design to production runs with thicknesses up to one inch. Contact us to learn more about our advanced laser cutting services. Working on a Precision Laser Cutting Project?